Kristen Graf, Executive Director of WRISE, says more women in the field is key. Published in the November/December edition of Sierra Magazine. Growing up, I was a math and science nerd who loved being outdoors. I had great teachers who encouraged me to explore engineering as a path for doing environmental work, and I got excited about renewable energy as a technological solution to climate change. So I went to Cornell to get an engineering degree. Once there, I was stunned by how few women were in the engineering program. In high school, there were tons of women in my calculus and science classes, and I just assumed that would continue through college. I got involved with the Society of Women Engineers, and promoting women in science and technology became a side passion of mine. 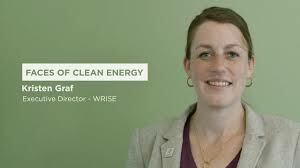 Click here to read more and to watch a brief video, Faces of Clean Energy. 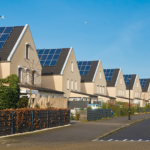 Vivint Solar Celebrates 1 Gigawatt of Rooftop Solar Installations, PR Newswire. Milestone cements Vivint Solar’s leadership in residential solar industry and underscores unique position for sustained, smart growth across the United States. 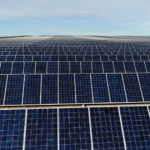 TVA Partners With First Solar & NextEra To Build 377 Megawatts Of Solar For Facebook, CleanTechnica. 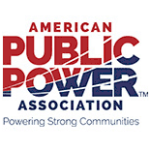 Formed in 1933, the Tennessee Valley Authority is a corporate agency of the United States, providing electricity for businesses and local power companies which serve nearly 10 million people across seven states in the southeast of the United States. 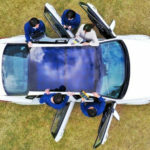 Hyundai & Kia To Begin Offering Solar Sunroofs After 2019, CleanTechnica. Many people have dreamt of combining solar power with electric cars. German startup company Sono is actually doing it with its Sion solar-powered car, but few other companies have gone down that road. Now Hyundai and Kia say they will make solar sunroofs available on some models after 2019. Sonnen targets utility contract for Arizona aggregated storage project, Utility Dive. The company aims to equip 2,900 homes with solar panels and a battery to provide peak demand during evenings. Storage installations will likely grow to about 3,900 MW a year in 2023, up from close to 400 MW this year, according to the Energy Storage Association and Wood Mackenzie forecast. 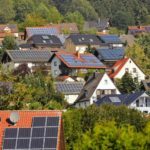 This entry was posted in NewsBlog and tagged Energy Storage News, renewable energy news, renewables + storage, solar-powered EVs, Sonnen Communities, Women of Renewable Industries and Sustainable Energy on November 7, 2018 by Helen Deffenbacher.